Your free packing checklist for Ireland will give you a full list of everything you need when embarking on a walking and cycling tour to Ireland. Depending on the time of year you plan to travel, you will want to bring different items with you. 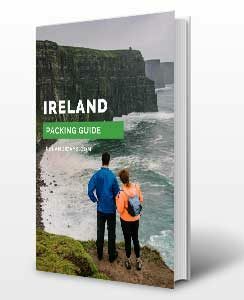 Download your Free Ireland Packing Checklist here!